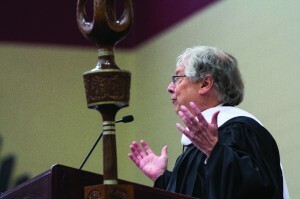 Lou's Alma College commencement speech - Michigan Future Inc.
Lou delivered the commencement address to the 2014 graduates of Alma College. The speech focused on the job market the graduates are likely to face over the course of a forty year career. Making the case that the four year degree the graduates have earned is the most reliable path to a good paying career. And that the liberal arts degree they have earned–despite convention wisdom to the contrary––gives them the skills needed to succeed over a career in an economy constantly being reshaped by globalization and technology. You can read the speech here.